Took my 2011 CJ sedan in on 11/7/16 for the turn signal recall and had the grease application. A few weeks later, the lights flickered out a couple of times over several days. A return visit on 19/8/16 resulted in a new indicator stalk following the discovery of an "internal short in the indicator stalk". Now I've noticed substantial rattling around the steering column. About to look up the service manual before bothering to return the vehicle for a third round of "improvements". Interesting I've had a rattle at certain RPMs over the last few weeks, can't find where it is, could in the steering column. Not noticed any lights issues and I took my CJ in months ago. Yeah I've got some rattles more recently but not sure if it's only since I took it in for the indicator recall. doesn't sound serious though, and like i said its only after cornering. My rattle is at certain RPMs more when going at a constant speed, not sure if its anything to do with this. Yeah the HU install might be an issue, just wish I could track it down. My steering column rattle is resolved. Mea culpa. The garage door controller clipped to the plastic panel just below the steering column was the cause. Noting the comments about rattles at certain revs, I still have a very specific buzzing at about 2300rpm (separate to the issue above) which occurs at different gears and sounds like it is in the centre console. Mitsubishi suggested the manifold heat shields, but I have not been able to eliminate it, despite attaching various magnets to the shields in an attempt to alter the resonant frequency. Any other suggestions? Is the sound restricted to just at a set amount of revs or does it persist as you raise or lower the revs. If it happens as you accelerate and persists and reaches a much louder pitch at around 3200 to 4500rpm could be normal. Check induction items ie: air cleaner snorkel etc: for loose connections, also exhaust connection brackets. Hopefully could just be something loose causing a sympathetic vibration rattle! 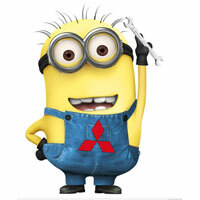 BTW there was yet another Lancer recall, this time I think its for the new CF with CVT. So anyone with a CVT it might be worth checking out. Sarusa, the buzzing is very much restricted to a range of revs around 2300. Much above this it disappears. Hence the thought that it is a component at resonant frequency. 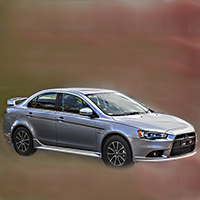 So with the Takata airbag issue back in the news, I know some Lancer up until 2008 were in the recall it might be worth double checking with your dealer if you have any concerns. And in general its always good to check is there are any outstanding recalls on my CJ, especially if you've just bought it 2nd hand.